Tamang Heritage Trek is one of the most amazing treks from the Langtang region. The trek is named after the Tamang people who live here in abundance. The entire area is a part of their culture and heritage. Tamang Heritage Trail is quite short in comparison to other routes in the region, as the core trek lasts only for a period of 5-6 days. One day is spared for acclimatization, and side trips. The earthquake that occurred in the year 2015 damaged the Tamang Heritage Trek route up to a great extent, and it remained so quite some time. However, things are entirely different presently. Tamang Heritage Trek after Earthquake is quite safe and ready to be tried. Langtang Tamang Heritage Trek is a source of extraordinary adventure for people of all age groups and physicality level. What Makes Tamang Heritage Trek So Special! 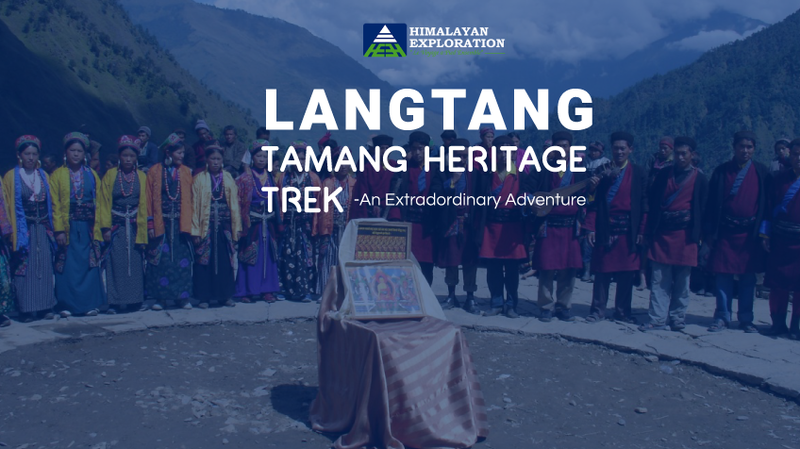 Tamang Heritage Trail has so many features and attractions that the trekkers would stay occupied and excited at all times. So many great mountain views, interesting settlement areas, with loving people, beautiful landscapes with lush green forests, rivers and waterfalls, it’s amazing, all the goodness! Tatopani is one of the most amazing settlements on the Tamang Heritage Trail. One of the major features of this settlement are the hot springs of natural water. You can submerse yourself in the pond of hot water after a long tiring trek. It is said that taking a dip in the spring here will cure all the aches and skin diseases. You’ll never feel like leaving! From various points in the trek, you’ll get to have amazing views of mountains on the Langtang Range, Ganesh Himal, Gosainkunda Range, and the peaks on the northern border, separating Nepal and Tibet. On the route you’ll also come across Chilime Hydropower Project. Simply taking a walk around, and viewing the landscapes around it is a fun thing to do. The region is mainly dominated by Buddhist Religion, so time and again, you’ll come across monasteries, gompas, chortens, and other Buddhist relics. The Tamang people living in these villages will offer to show you cultural shows and performances. Watching them sing their folklore and dance on its tunes is an absolute pleasure altogether. So, get a copy of Tamang Heritage Trail itinerary today, and start your research on Tamang Heritage Trail Trek. Tamang Heritage Trek offers you all the goodness of Langtang Region, with moderate level difficulty and in a short period. If you’re looking for a holiday destination this holiday season, well, look no further. Go for Langtang Heritage Trek – definitely one of the best treks in Nepal. Himalayan Exploration is a great travel agency to choose as your trekking partner no matter what part of Nepal you’re planning to visit, and trek in. They’re affordable, offer you amazing trekking packages, and provide you a great service. Himalayan Exploration is definitely one of the best trekking agencies in Nepal.